From the National Safety Council’s website, we have gathered some information and tips on keeping your windows in good repair for use and emergencies as well as to prevent falls. Windows let in light and fresh air, and can provide breathtaking views, but they also are vital to safety. 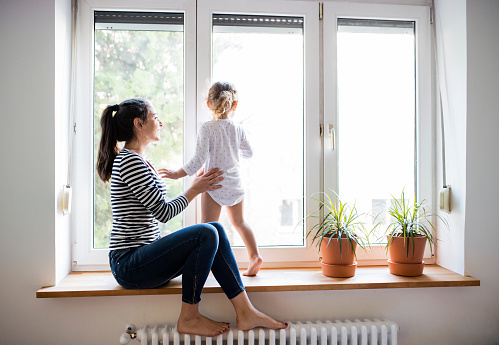 It’s important to understand what you can do to observe window safety, especially when young children are in the home. Window Safety Week in April coincides with the arrival of spring, when homeowners naturally want to open the windows and let in fresh air. Its goal is twofold: for families to understand the role of windows in escaping a fire or other emergency and to learn to safeguard against accidental window falls. Windows have saved many lives when used as emergency escape routes. Larger, egress windows can take on an even greater role by preventing families from being trapped in a basement and by more easily allowing rescue crews to enter the home. How prepared are you to escape a fire? You will likely have little time to think, which is why it is essential to develop and test an escape plan at least twice a year with everyone in the home. Roof Iowa is committed to educating our customers and “Building your trust with EVERY ROOF”! We take our time with every customer to give them a trustworthy roofing experience. This is why we are voted ANKENY’s BEST ROOFER and Des Moines Metro’s Best Roofer time and time again.